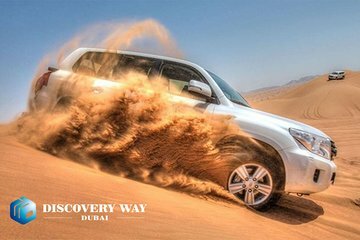 On this VIP desert safari, you’ll head deep into the famous red sands of Dubai. Enjoy thrilling, high-speed activities, from dune bashing to sandboarding, plus access to a rugged quad bike for more off-road adventures. Tours also include a tasty buffet-style dinner with local BBQ and international cuisine—plus unlimited open bar—and live entertainment from belly dancers and fire performers.